Drill are essential for coaching young athletes. They’re perfect for improving fundamental skills by breaking down different aspects of the game. For many young athletes, the standard method of diving the game into smaller pieces helps them understand the lesson being taught. Despite these benefits, coaches often complain that a significant portion of drill work does not readily transfer into competitive game settings. For instance, an athlete may be an expert at making a bounce pass during drill work, but cannot seem to use this skill in a game. Utilizing mini games in practice can help solve these problems by providing a more relevant context for drill work. While mini games are used all the time at practices, many coaches do not use them as skill building exercises. Variations of mini games like 3-on-3 in basketball, 7-on-7 in football and king of the court in tennis are widely practiced. However, these mini games may be tweaked to reinforce techniques that are typically only practiced through drill work. For example, to work on bounce passes, you could play a game of 3-on-3 where each member of the team must make one bounce pass before scoring. This type of regulated game allows athletes to directly practice the skill developed in drill work. It also better mimics the in-game competitive stress that athletes face. Another fantastic aspect of using mini games is they allow athletes to claim skills as their own. All athletes have different constraints given their individual bodies, athletic abilities and knowledge of the game. 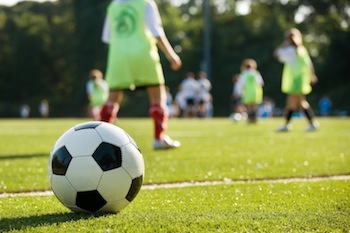 Mini games provide young athletes with a place to experiment with the skill and discover how they can most effectively improve the skill, given their own constraints. Giving players this opportunity to be semi-autonomous in their learning process will help the skill stick with them better, and ultimately encourage them to use and develop these skills.